Just 17 months was all it took for Instagram’s popular Stories feature to rise to the top, attracting over 500 million users daily. It’s no surprise that with record growth, everyone from AdWeek to Forbes is calling the Facebook-owned feature a top digital trend for 2018. But what is it about the Snapchat copycat (remember them?) that sent all other social media platforms directly to second place? A simple explanation for the preference for Stories over Snapchat is Instagram’s massive user base of 800 million, which is still growing quickly. This built-in audience automatically made Instagram a notable competitor to Snapchat. On Snapchat, brands are challenged with growing a following from scratch with little to no way of being discovered by new users. Instagram Story features include the ability to search, converse and engage with potential new followers and consumers. Snapchat’s poor search function requires a specific handle to be searched in order to discover and follow the brand. How do you find a brand’s Snapchat handle you ask? Well, many used to include them in their Instagram bios (talk about a plot twist). Instagram not only allows you to search by handles, brands and key terms, but it also suggests accounts you may be interested in following under the Discover tab. Following an account is not required on Instagram to view and engage with a brand’s or influencer’s content. This aspect alone showed better results at a larger scale for CPM (cost per impression). Unfortunately for Snapchat, Instagram didn’t stop there. Not long after the duel began, Instagram announced a brand new “Swipe Up” feature for Stories. For the first time in the history of the app, you were able to link ecommerce directly to a piece of content. In the eyes of marketers and influencers, this was a real game changer. 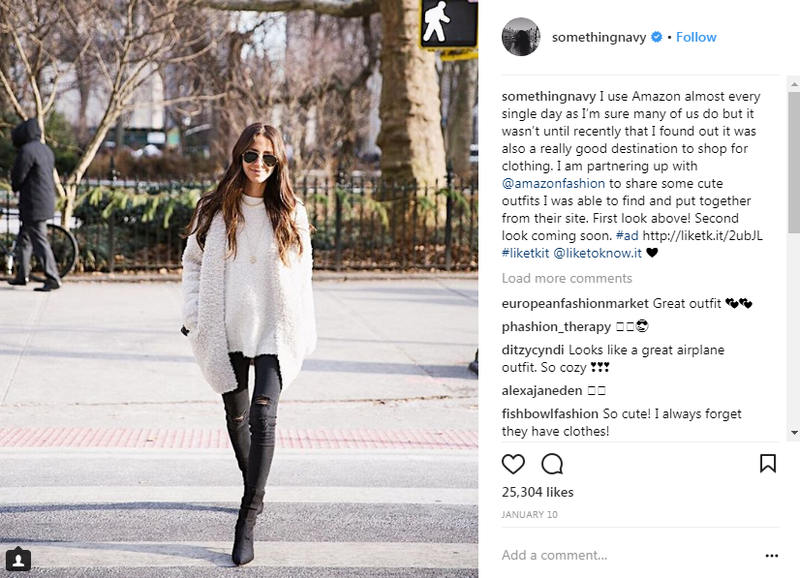 Instagram quickly became a free and effective secret weapon to ecommerce brands, retailers and influencers. Although this generation loves the classic Instagram feed filled top to bottom with beautiful photos, the content in our feeds is starting to go in a different direction. Classic evergreen brand content lacks personality and value, while frustrating algorithms give users little to no control as to what they see in their feed. This is why ephemeral content (aka impermanent content) is expected to take the lead in 2018, according to AdWeek. Ephemeral content feels authentic, relatable and provides much higher engagement rates. In 2018 we’ll expect to see a large shift into Instagram Story content.